The Southeast Asia Regional Climate Downscaling/Coordinated Regional Climate Downscaling Experiment South East Asia (SEACLID/CORDEX South East Asia) project started in 2012 and evolved from a bottom-up initiative of a group of scientists from five countries (Malaysia, Indonesia, Vietnam, Thailand and the Philippines). Currently, the project also involves Lao PDR, Cambodia and institutions outside the South East Asia region. This project is aimed at doing climate change projection at a finer scale and higher resolution. It is partly funded by the Asia-Pacific Network for Global Change Research (APN) under the Annual Regional Call for Research Proposals (ARCP) Programme for three years starting October 2013. Data from this project can be used for climate change impact studies. 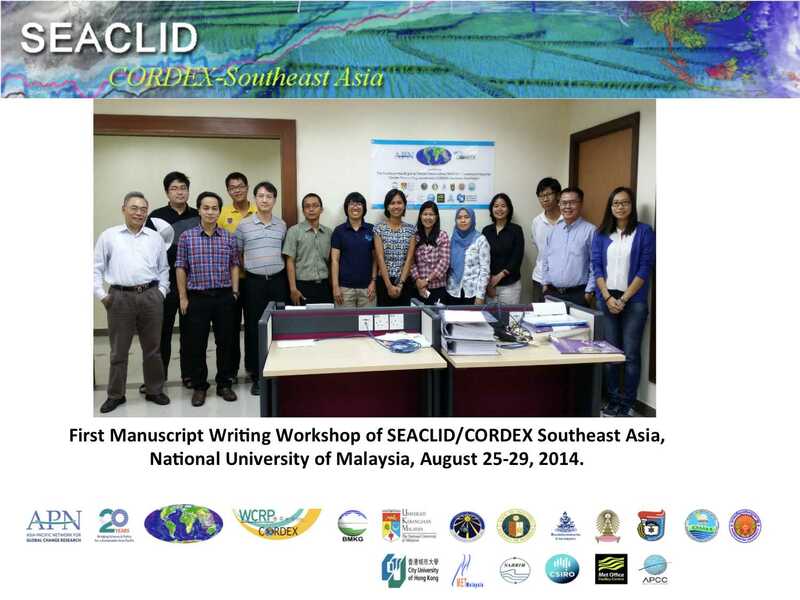 CORDEX-SEA also intends to build the capacity and network of scientists within the region. The project includes a number of workshops (held in Jakarta in 2013 and in Bangkok in 2014), which help strengthen collaborative interactions among the scientists in the region. The third workshop is scheduled to be in Manila in 2015 to be hosted by the Manila Observatory and the Ateneo de Manila University. Both institutions will also host a regional climate modelling workshop together with the International Center for Theoretical Physics of Trieste, Italy, APN, and the National University of Malaysia.